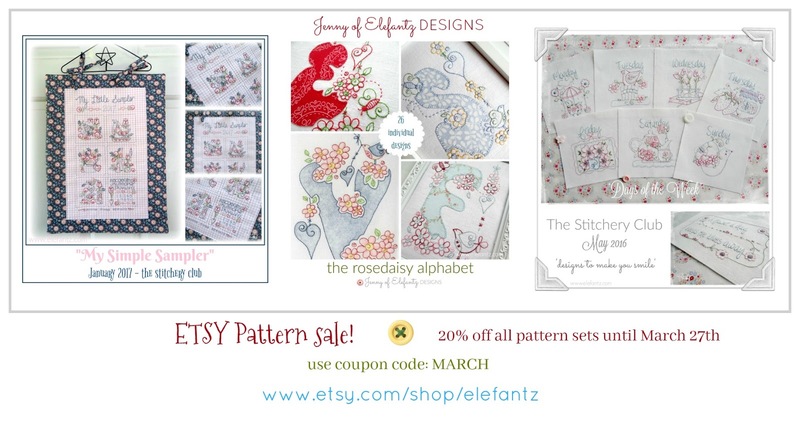 Jenny of ELEFANTZ: ETSY pattern sale! It's been a very long time since I had a sale on my patterns so I thought you might appreciate the opportunity to purchase some past issues of The Stitchery Club and a few pattern sets over the next week at a 20% reduction of their normal cost? Take advantage of this one-off sale in my ETSY Shop until March 27th. Use the coupon code MARCH at checkout to receive the 20% discount. If you don't use the code you won't receive the discount so please be diligent about that to gain full advantage of this 8-day sale. 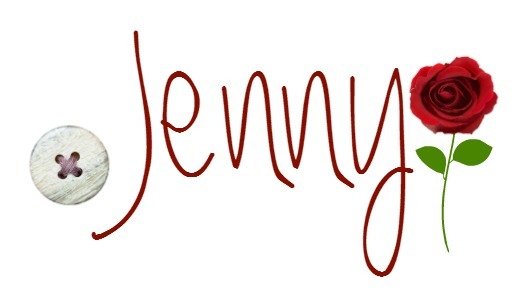 That's very generous, Jenny, especially when they were already so reasonable! A great time to catch up on missed older patterns.